In this module, we introduce the students to the issues of public perceptions of risks, the professional perception of risk and issues related to risk reporting. 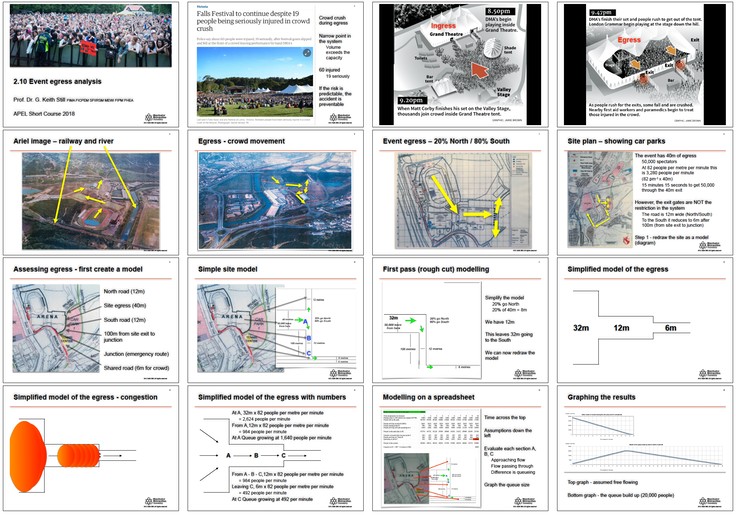 We introduce the concepts of risk and congestion mapping for places of public assembly. In this lecture, we outline the principles of risk analysis with specific focus on both the public’s perception of risk and the professional perception of risk.